LOOK FOR THE FORM IN THE HANDOUTS PAGE! CLOSING CEREMONIES ARE MAY 21ST, 2016 @ 5:00 P.M.
ALL - STAR CAR WASH JUNE 11TH, 2016 FROM 11 A.M. TO 3 P.M. 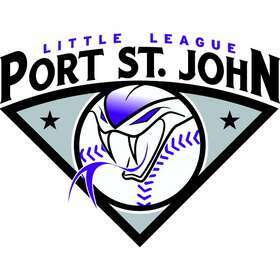 Port St. John League (PSJLL) is a volunteer organization affiliated with Little League International. We offer Baseball and Softball programs for all ages at the Space Coast Communities Sports Complex and Fay Park. PSJLL encourages all participants, parents, grandparents and friends to not just sit on the bleachers and let the kids have all the fun. We would like you to come help out in the concession stands, or become a coach, asst. coach or even ask about being an umpire! We would like to see the whole family involved with PSJLL.